Looking for effective and affordable commercial sealcoating in Tulsa, OK? 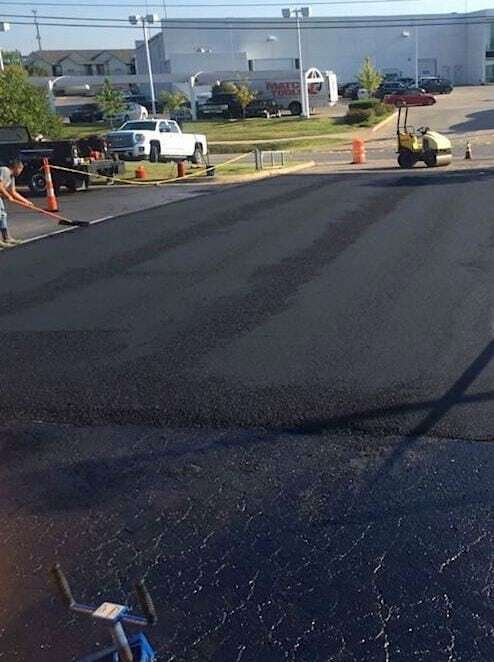 At PLS Construction, we offer commercial sealcoating solutions for customers who wish to extend the longevity and durability of their customer and employee parking lots and driveways. As any good commercial construction contractor knows, sealcoating is an important part of the parking lot maintenance process. Over time, heavy vehicles and natural elements like water and temperature can cause damage to roadway and asphalt surfaces, especially in the greater Tulsa, OK region, including Broken Arrow, Muskogee, Owasso, Bixby, Sapulpa, Glenpool, and Kiefer. The presence of cracks and potholes presents a safety issue for both vehicles and pedestrians, and can give potential customers the impression of a poorly maintained business. PLS Construction utilizes commercial sealcoating to directly address this issue, allowing parking lots and roadway services to be repaired without the need for a complete rebuild. Here at PLS Construction, our sealcoating team will assess your property and work with you to deliver an efficient solution that works for your budget. Using crack filling solutions can extend the life of your roadway by protecting it from natural elements and heavy traffic that can cause damage over time. Contact us at 918-943-6543 or 918-519-3977 today to learn more. PLS Construction provides commercial seal coating services to businesses throughout Tulsa, Broken Arrow, Muskogee, Owasso, Bixby, Sapulpa, Glenpool, Kiefer, and surrounding OK communities.